A savings account is a typical account at a bank or a credit unionCredit UnionA credit union is a type of financial organization that is owned and governed by its members. Credit unions provide members with a variety of financial services, including checking and savings accounts and loans. They are non-profit organizations that aim to provide high-quality financial services that allows an individual to deposit, secure, or withdraw money when the need arises. A savings account usually pays some interest on deposits, although the rate is quite low. An average account pays slightly below 1% annually. 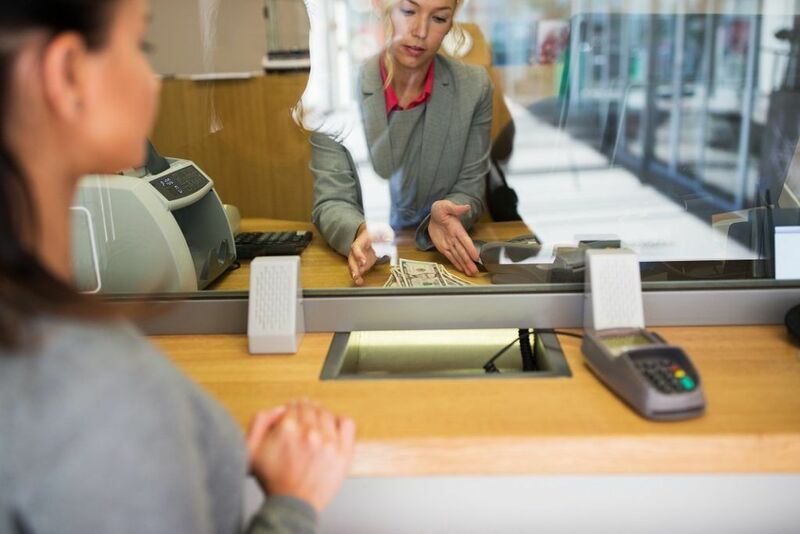 Even then, there are savings accounts that offer higher rates, which allow customers to increase their savings quickly while keeping money in a safe place. In general, it is advisable to own a savings account. Opening one is free, and most banks and credit unions allow customers to register and transact online. A savings account is the safest place to save money. Rather than carrying a lot of cash around or hiding it at home, the money can be kept in the bank. Cash in hand or at home can get lost very easily. It is possible for cash to disappear from the house or be burnt by a fire. However, when it is kept at the bank, the federal government insures it so that it can be recovered when something terrible happens. Cash in hand makes it very easy for an individual to spend on things, not budget for. A savings account helps people set some money aside so that they can achieve their financial goals. Also, banksTop Banks in the USAAccording to the US Federal Deposit Insurance Corporation, there were 6,799 FDIC-insured commercial banks in the USA as of February 2014. The country's central bank is the Federal Reserve Bank, which came into existence after the passage of the Federal Reserve Act in 1913 help customers function well in their day-to-day activities. An individual can get by without a bank account; however, owning one helps one avoid impulse buying. In addition, banks make it easy for customers to reach their funds. So, once an individual feels the need to access funds, all he needs to do is go to the bank and make a withdrawal or transfer funds from the savings account to a checking account. While there are restrictions on funds transfer, an unlimited number of cash withdrawals can be made through a cash dispenser or over the counter. Most savings accounts accumulate a small interest. In other words, banks make small additions to their customers’ savings, usually on a monthly basis. Nevertheless, the interest rate is dependent on the state of the economy, as well as the bank’s competitiveness. While rates offered by banks are slightly above inflationInflationInflation is an economic concept that refers to increases in the price level of goods over a set period of time. The cause for inflation in the short and me, there is a minimal risk of loss because the money is well insured. Also, a little interest is better than no interest at all. To make comparisons between the rates at different banks, refer to the annual percentage rate (APR)Annual Percentage Rate (APR)The Annual Percentage Rate (APR) is the yearly rate of interest that an individual must pay on a loan, or that they receive on a deposit account. APR is used on everything from mortgages and car loans to credit cards. Ultimately, APR is the simple percentage term used to express the numerical amount paid by an individual or entity yearly for the privilege of borrowing money. of each account together with other essential factors such as fees and required deposit amount. The process of opening an account does not take more than one hour. In most cases, it only takes a few minutes, and the customer is set for a couple of years. For customers who don’t want to visit a bank, but still want an account, the other option is to do it online on a laptop or mobile phone. Here is the procedure to follow when opening a savings account. Compare different banks by checking fees, rates, and minimum balance requirements. Savings account don’t generate much interest, so all the charges will disappear into the money deposited. For customers who prefer a credit union, the first thing is to check for eligibility. The relevant information can be found online or by speaking to a credit union customer agent. Before an account is opened, it is best for a customer to gather up all the data that will be needed by the bank and it includes Social Security number, driver’s license, or military identification. Opening an account requires the customer to be above the age of 18. However, the requirements vary from one bank to another, so it is best to inquire from the customer service representative. Once the right credit union or bank is found, open an account that is easy to manage or make deposits into. Accounts with a higher interest rate suit customers who make considerably huge deposits. After the account is all set up, the last step is usually to fund it with some money. It can be done immediately, or at a time when the customer is able to do it. Customers who own substantial assets can talk to the customer service representative to find out what the bank can offer. The bank’s president might be around the corner, and usually, such an encounter ends up in a good deal. If the bank of choice sounds a little unfamiliar, it is always best to look them up and find out if they are insured. A savings account is a good idea, especially for individuals with financial goals. With a savings account, it is easy to stash away cash that is not needed immediately. Banks or credit unions provide individuals with a safe place to keep the money. Idle CashIdle CashIdle cash is, as the phrase implies, cash that is idle or is not being used in a way that can increase the value of a business. It means that the cash is not earning interest from sitting in savings or a checking account, and is not generating a profit in the form of asset purchases or investments. Personal FinancePersonal FinancePersonal finance is the process of planning and managing personal financial activities such as income generation, spending, saving, investing, and protection. The process of managing one’s personal finances can be summarized in a budget or financial plan.